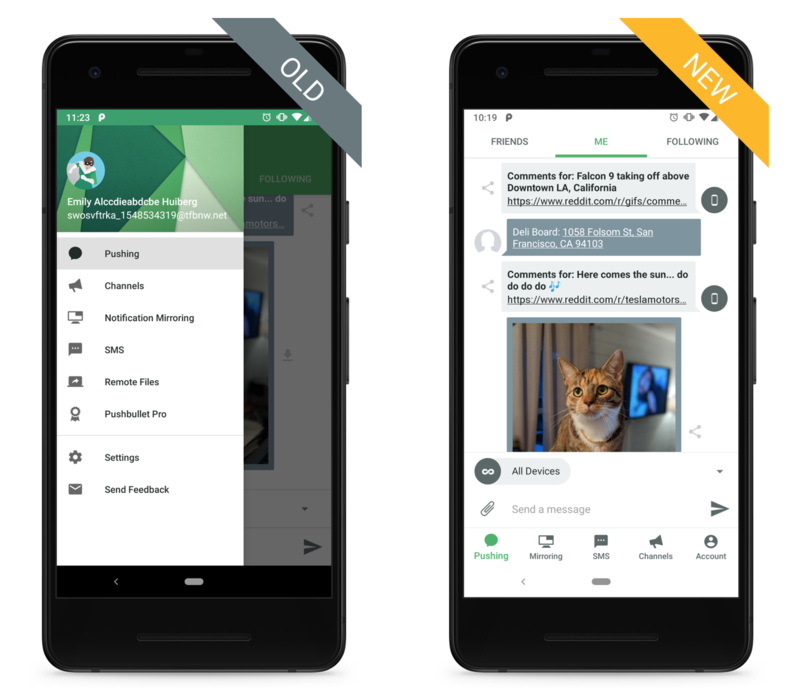 An update for the Android tool Pushbullet is rolling out with new visual design elements. The app has been an Android staple for years since it streamlines the process of transferring files between devices. 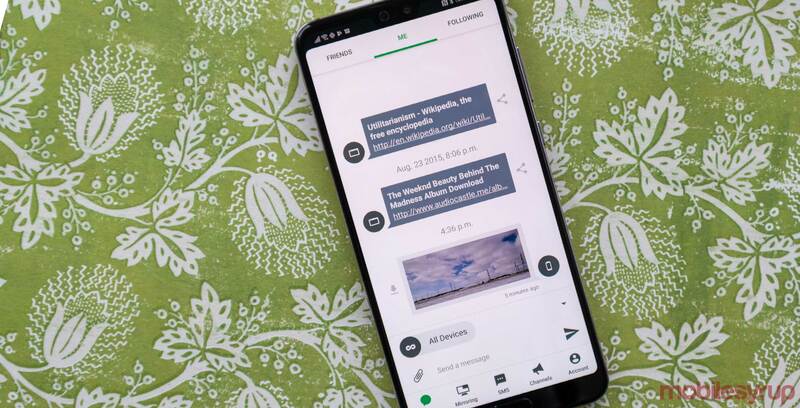 The simplest way to describe the app is that you install it on all of the devices you want to send files between and it acts as a group chat for those devices. Pushbullet then takes it a step further by allowing you to see and respond to some of your Android notifications on a computer. While that is a simplistic way to explain the app, it’s very useful, and dare I say, it’s even more helpful with the new clean design. The new look sheds the side menu drawer and replaces it with a bottom row of menu icons like YouTube. This means that all of the menus and tools are accessible from the primary screen making “getting around and exploring much easier,” reads the Pushbullet team’s blog post. The team has also simplified the app’s look by getting rid of all the colours except for the main green hue, which is no longer in the app’s header. This adds an abundance of white space that brings Pushbullet in line with other modern-looking apps like Google’s Tasks. The Pushbullet icon is now adaptive so it can fit in with the user’s chosen icon style. The final design tweak is dark mode, but it’s only for Pro users. The Pro subscription is available for $4.99 CAD a month or $39.99 per year. Altogether, this is a welcome update for an app that’s been starting to show its age as mobile design starts to move towards more and more white space. The update should be available for beta testers right now, and the rest of the Android should get the refresh shortly, according to the team’s blog post. The app is available on iOS as well, but this update doesn’t apply to it.